Family lawyers for divorce and child disputes in Northwich Winnington Barnton and Hartford can be seen when needed by you or a family member at Stonehewer Moss solicitors. An established firm, with family law headed by 25 years of specialist family law experience by solicitor Michael Brennan. Stonehewer Moss Family lawyers for divorce and child disputes offer a fresh approach to family law in Cheshire and the localities of Northwich Barnton Winnington and Hartford in particular. A family lawyer must be felt to be on your side and sadly all too often the perception is that it is a cosy club between solicitors that seem to be in each others pockets too much for comfort. At Stonehewer Moss the firm is established in court litigation and have an independence from local practices that should re-assure we provide a service to our clients not a support group for our friends. Family lawyers for divorce and child disputes provide family law services at Stonehewer Moss solicitors in Northwich sourced from accredited specialisation and whole hearted belief that a family lawyer is entrusted to settle a difficult family problem. Michael is accredited with the Law Society and the national family lawyers organisation called Resolution, which promotes amicable family law practice. Some times a case needs the help of the Court and this litigation practice has the necessary tools to provide for such a case. Every family is different. Stonehewer Moss family lawyers can make a difference to help you achieve a good outcome when the family needs help. 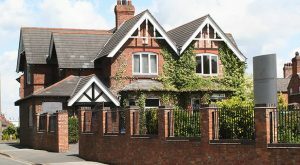 Family lawyers for divorce and child disputes in Northwich Winnington Barnton Hartford and Cheshire. Opening times Monday to Friday 9-5; no obligation family clinic Monday to Thursday 9-11; appointments arranged at convenient times and venues. This article was added on Tuesday, April 5th, 2016 at 10:47 am and is categorised under Cheshire News, Chester News, Child arrangements, cohabitation disputes, collaborative law, Divorce, divorce finances, Family finances, Family Law, FAMILY PROVISION ON DEATH, General News, Macclesfield News, northwich solicitors, prenups, Runcorn News, Warrington News, Winsford News. Both comments and pings are currently closed. Error: Error validating access token: Session has expired on Saturday, 09-Mar-19 13:12:58 PST. The current time is Thursday, 25-Apr-19 21:42:52 PDT.